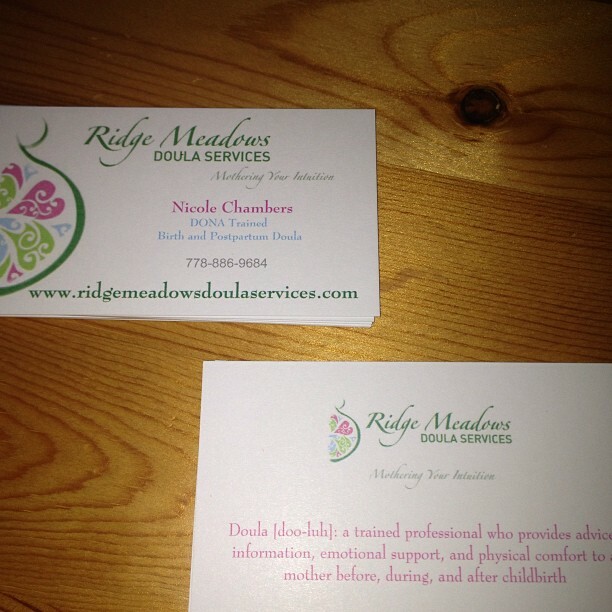 You are here: Home / Doula / Business cards are in! Woohoo! my business cards are in. Now to share with friends, co-workers and the local midwifery. I’m not in love with them but they are good for a first timer business owner. next time I’d likely make the font a bit bigger and lose the grey (hard to read). The positives are my logo rocks! Who wants one?